This post originally aired on Parade’s Community Table. Whether you are craving an easy macaroni and cheese recipe that you can have on the table in less than 15 minutes or a wonderfully baked macaroni and cheese recipe that may take a bit more time, the end result is the same: pure comfort food bliss. There are so many different variations of the classic mac and cheese. There are a variety of shapes of pasta, and so many different types of cheeses. Different combinations can make your taste buds explode with pleasure. Here you will find creamy, rich and salty, recipes that are perfect as a main course or as a side dish. Delicious recipes such as Crock Pot Mac and Cheese, Skillet Mac and Cheese, Cajun Mac and Cheese or Broccoli Pesto Mac and Cheese. These are some of the most luscious mac and cheese recipes from the best bloggers on the web. 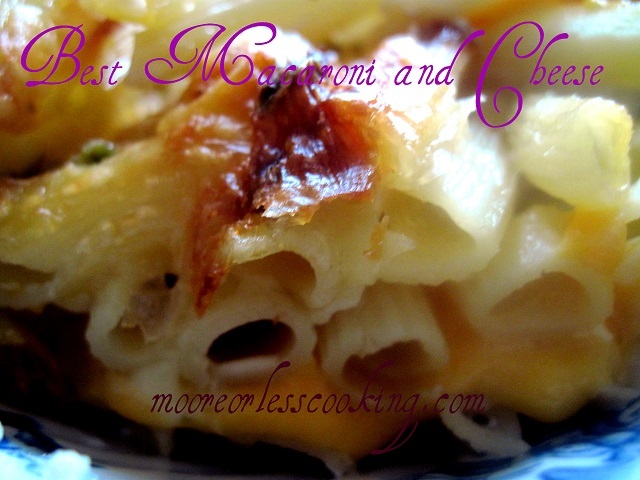 Click here to see more Mac and Cheese Recipes! Great cheese recipe I have found on the web. Now, I can try it for my husband. Really thanks for sharing awesome cheese recipes.